Yesterday, I received this beautiful set of business cards designed and printed in the UK by a company called Moo (I know it sounds funny). Moo is renowned for their exceptional quality in printing luxurious business cards. They won quite a number of awards so if you are looking for some quality business cards, then you should definitely check them out. Seeing these cards with that glistening gold foil design has really made my day (Going with Trump Style – Gold in Everything 😉 ). Even their packaging was absolutely top-notch. I ended up showing it to my dad. He thinks that I was wasting money on useless things (This is his usual comment on most of the things I do haha). Anyway, I was saying my prayers just as I was about to head to bed and I felt like God brought to my remembrance the days when I first got into this work. We are looking back 7 years ago when I got my first set of business cards printed for my web design business. They were thin, low GSM, low-cost, and low-quality cards that were there purely there for someone to get in touch. It met my purpose and so I went for it. 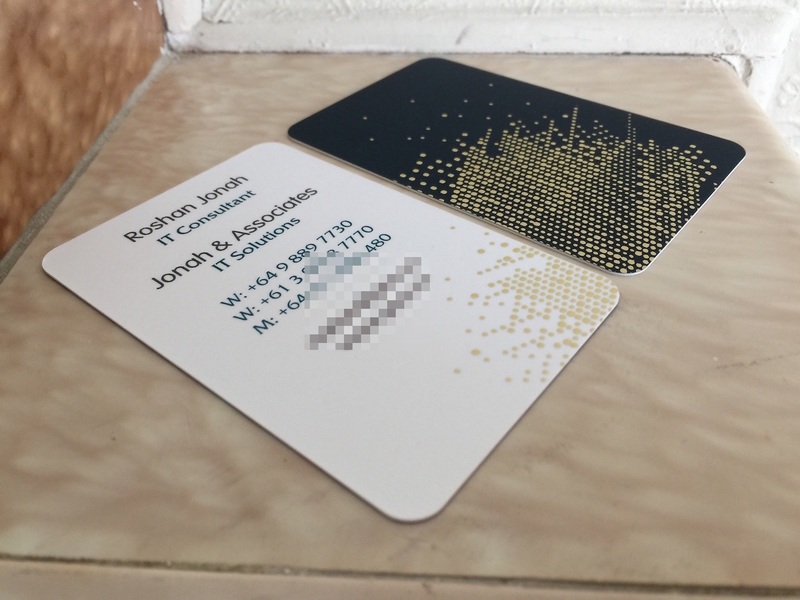 In fact, I didn’t know if my business was going to do well or not in those early days so I got a deal that VistaPrint was doing at that time ($9.99 for 250 Business Cards). The downside was that they advertised their services on the backside. I remember handing those out to my potential customers. As I was thinking of those days, I ended up getting a little emotional. I felt so thankful to God for bringing me to where I am now. Slowly but surely. Its always good to remind ourselves of where we come from and where we started of. It keeps us humble, focused, and close to God. Because, truth be told, if it wasn’t for God, I wouldn’t have got this far. He showed me His faithfulness despite me constantly failing Him. Do not forget your humble beginnings lest you feel proud in your heart and lest you think that it was your own strength/skills/abilities that you got to where you are now. Praise Him when you are on the mountain top and praise Him when you are going through the furnace to be shaped and moulded into his liking. Most of all, never place your trust on things that never last – money, fame, and things of this world. One day you might have plenty of it and the next day you might be the poorest man in town. Things that never change is what you should always give you undivided attention to – God, Family, and Friends. They are the ones who will love you no matter where you are in life, whether you earn thousands or nothing at all, whether you have a mansion or live on the street. Always work hard not so you can live a luxurious life but so you can lend a hand to those in need. PS. I might sound a little controversial here talking about lending hands while ordering “quality” business cards. I have done this to please those people who look at your business card to measure your success rather than the actual work you perform 😉 Unfortunately, there are still a lot of those “types” around.